1. Copies of the tutorial model are available. For RichDirt V-Ray click here and for RichDirt mental ray click here. For Max 2016,15,14,13,12,11 use V-Ray here and mental ray here. The "old" versions will show warnings for a missing texture and missing dll, press open and continue for these warnings. The model will load. 2. Open the Compact Material Editor. Create a new Multi/Sub Object material. Name this ´myMultiSub´. 3. Create a new mental ray Arch and Design material or a V-Ray material. Name this ´myWallMtl´. 4. Open ´myMultiSub´ material again. Add ´myWallMtl´ to slots 2,3,4,5 of myMultiSub. Make sure to use -instances- (not copy, we want the same wall material used 4 times). See the ´Natural Variations´ tutorial for a snapshot of the UI. 5. Now go back to ´myWallMtl´. Click the diffuse color map button, to add a RichDirt texture. RichDirt is found in the map section of the material and map browser in the standard maps. Name the texture ´WallDirt´. 7. Here starts the interesting part of the tutorial - Adding rain ! 8. Great structures ! This would take forever if done by hand. What Next ? How to get such structures for the upper edge of the building ?. RichDirt has 2 flags AO - (Ambient Occlusion) and IO (Inner Occlusion). AO is for objects that stick out of a facade. Like a window bench. The top edge does -not- stick out. So we add IO here. Surprise ! - if you render now the streaks will be gone. Why ? Do not forget to also enable -streaks- for IO. If this isnt active dirt from IO will remain ´everywhere´ - dirt from IO is -added- to dirt from AO, so if IO doesnt have streaks it will look like it ´removed´ the AO streaks. The next image shows the streaks rollup - to enable streaks for IO. Also add the ´mirror´ material to slot 6 of ´myMultiSub´ to get nicer windows. 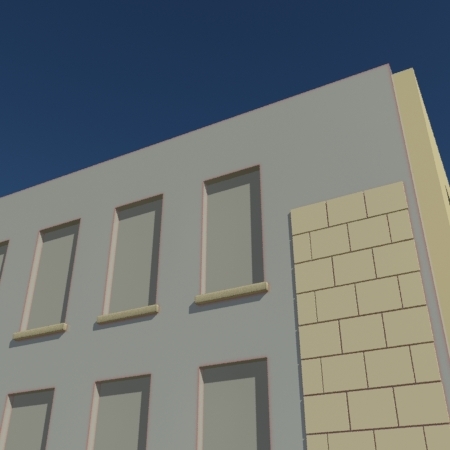 The geometry used for the facade uses ID 6 for the windows (by chance .. in your models this will be different). 9. RichDirt supports many variations of dirt. Since this would be to much to show in this tutorial, just a few ideas are mentioned. a) Modify the `Wash Length´ in the Streaks tab to get longer and shorter streaks. b) Add your own the streak map or modify the size of the builtin to get different streaks. c) Modify the ´spread´ to get more blurred streaks - try 15 degrees. For fine control it is possible to mix different RichDirt with the 3ds Max composite node (see the step 13 in the ´Natural Variations´ tutorial). As a last step in the tutorial we make the streaks less strong, like less water washing dirt away. In the streaks rollup set ´Amount´ to 80. In the main rollup set ´spread´ to 20 degree. 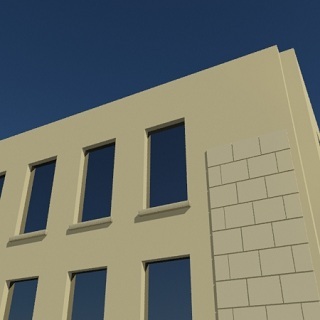 This creates a natural appearance for older buildings. 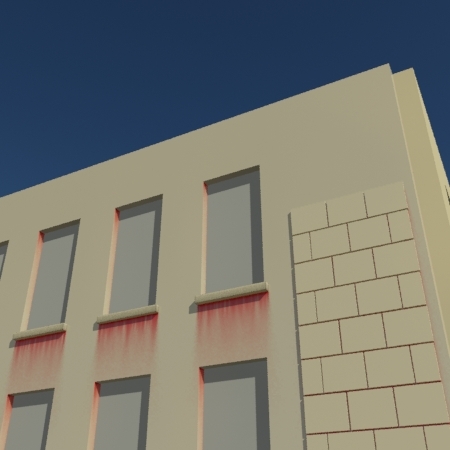 If you want to use rain (streaks) in a subtle way simply use a color that is similar to the clean color (when using bitmaps use the same bitmap a second time with a color correction).